You think your neighbours are bad? Well you haven't met the neighbours from hell. The Magpies follows young couple Jamie and Kirsty a young couple in love who have just moved in to a new flat. Everything is going really well, they are getting on well with all their neighbours until one day when their neighbours in the basement flat invited Jamie and Kirsty and there two friends to go go-karting things seem to be going well till a terrible accident puts one of the friends in the hospital in a coma. From this point on things just get worse. From Hoax calls, to letters and recordings. When the police can't do anything about Jamie and Kirsty are in a world of hell and things are only set to get worse. When Kirsty realised she is pregnant, its all her and Jamie have wanted but with everything going on with their neighbours is this going to end well. Well i find myself giving yet another 5 star review, I read this book in a single day i could not put it down i was completely hooked. At the moment i am currently having issues with my neighbours but oh my days compared to what happens in this book. I found the book to be well written an thought out. I found the characters to be well structured and really believable. You find yourself really routing for Jamie and Kirsty and hoping they can get help and get proof of what is happening. You can tell a lot of thought went into the building of the characters. The Newtons are truly the nightmare neighbours from hell. 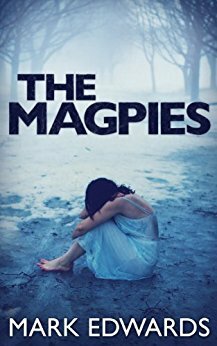 This is defiantly a book i would recommend to anyone looking for a great psychological thriller with plenty of twists and turns to keep you guessing and to keep you in constant suspense. This book will keep you wanting to turn the page from the very start and you will not want to put it down.